Windmill nystagmus is characterized by a clock-like rotation of the direction of nystagmus . Even though various patterns of variant windmill nystagmus have been described [2, 3], the typical pattern of windmill nystagmus has only once been described in a patient with acquired blindness . We report another case of windmill nystagmus that was observed only 3 months after visual loss. A 47-year-old man was referred for further evaluation of progressive visual loss in both eyes for 3 months. 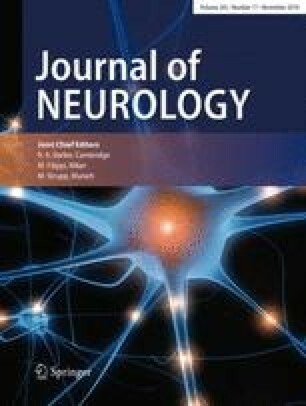 Under the suspicion of atypical optic neuritis, intravenous methylprednisolone, 1 g per day, had been administered for 10 days in another hospital, but his visual acuity had deteriorated. The online version of this article ( https://doi.org/10.1007/s00415-018-9015-4) contains supplementary material, which is available to authorized users. This study was supported by Basic Science Research Program through the National Research Foundation of Korea (NRF) funded by the Ministry of Education, Science and Technology (no. NRF-2016R1D1A1B04935568). Drs. S.U. Lee, S.Y. Jo, H.J. Kim, and J.Y. Choi report no disclosures. Dr. J.S. Kim serves as an associate editor of Frontiers in Neuro-otology and on the editorial boards of the Journal of Clinical Neurology, Frontiers in Neuro-ophthalmology, Journal of Neuro-ophthalmology, Journal of Vestibular Research, Journal of Neurology, and Medicine. This study followed the tenets of the Declaration of Helsinki, and was performed according to the guidelines of Institutional Review Board of Seoul National University Bundang Hospital (B-1803-459-702).